For those brides who want a smaller, more private wedding venue, then look no further. We have carefully selected some of Ireland’s finest destinations perfect for the intimate ceremony you had in mind. Whether your party is ranging from a cosy 20 or a gathering of 70, these top spots will provide for all your needs. From buzzing city centre venues to serenely located country houses, you are sure to find somewhere that will make your heart flutter. Situated in the heart of Dublin City, The Stephens Green Hibernian Club will lend character and occasion to your big day. 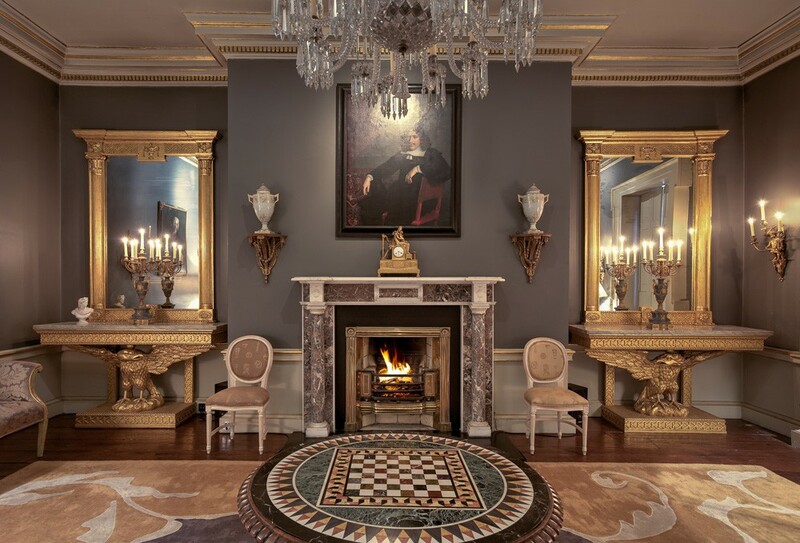 Priding itself on being one of Dublin’s oldest members' clubs, it has recently opened its doors to non-members, who wish to celebrate their special day in an intimate and handsome setting. Boasting an expert team, and one wedding per day exclusivity, they will devote their head chef and wine experts to you to fashion your event. For that glamorous, chic touch, they will also greet you with a red carpet and champagne reception that would put any Hollywood siren to shame. With banqueting menus, canapés and evening snacks all freshly prepared by their head chef and wines selected by you with the help of their in-house wine expert, organizing your reception dinner will be a breeze. Dance your night away underneath their magnificent glass-domed ceiling, which will transport you to the forgotten, romantic world of old Dublin. Catering particularly for parties ranging from 30 – 96, this venue is perfect for an intimate wedding with a truly Georgian feel. No. 25 Fitzwilliam Place is another of our favourite period venues, situated in the heart of Dublin, along the Georgian Mile, it caters for smaller wedding parties of up to 60 people. You can watch your guests soak up the antique atmosphere that has been styled to perfection with tones of cinema navy and period décor. With the wedding meal taking place in the ever-so-elegant Ellen Gray rooms, you will dine in style on the finest food and enjoy a late bar. Hold your reception here and no detail of your big day will be left untouched, from personalised menus and midnight snacks to their Vera Wang knives for cutting your cake. Full of splendour, this venue is accustomed with large floor-to-ceiling sash windows, mirrored centrepieces and double-door entryways, your wedding party is going to feel completely otherworldly. If you’re slightly sceptical about a restaurant venue being just a little bit too mainstream and low-key for your big day reception, you couldn’t be more wrong when it comes to this food haven. We are about to enlighten you on the edgy glamour that comes with a Marco Pierre White-hosted party. 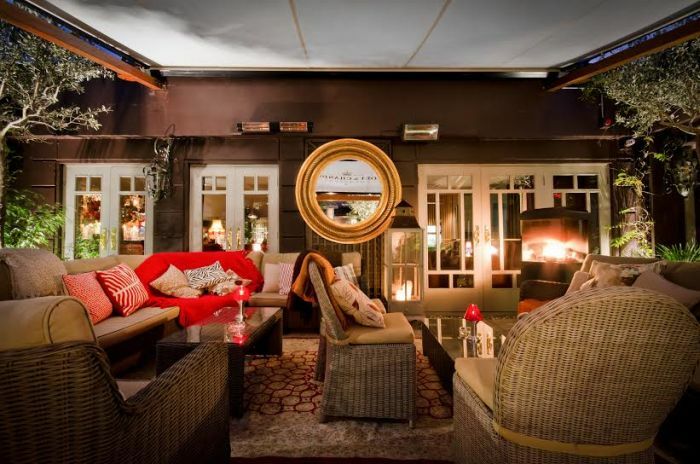 The Courtyard Bar & Grill in Donnybrook has décor that is anything but your middle-of-the-road restaurant with a few candles and bright prints hanging on the wall. Instead, their reclaimed floors studded with cast iron columns are the first feature you can brag to your guests about, as they were rescued directly from a church in County Kerry. What is more ornate than dining on deliciously prepared food amongst the remnants of a church? Most of their décor has been selected from auction houses around the world – including their elevated black Venetian bar. If it’s intimate you are searching for, Marco Pierre White's Courtyard Bar & Grill have garden rooms that will host guests in a group of up to 60. Tucked in behind a vine gate, these rooms open out onto their courtyard, and they will no doubt give your wedding party an urban edge in a glamorous setting. With scattered fresh flowers and roaring open fires, celebrate your special day in style at No. 10 Ormond Quay. 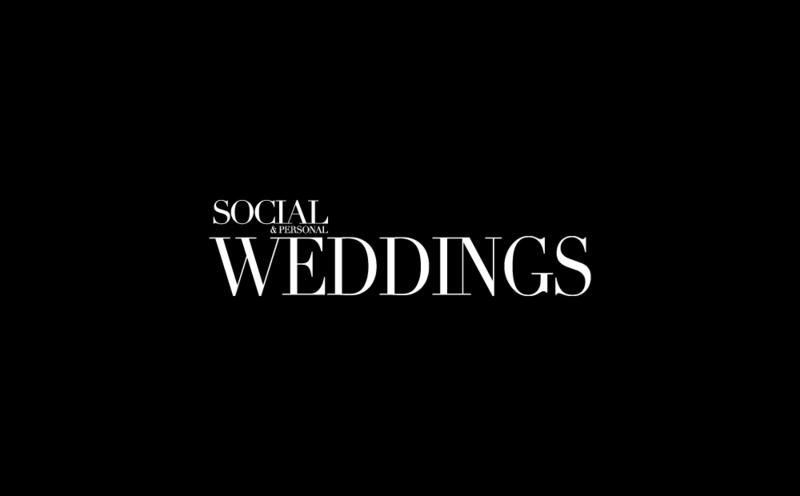 Once again we are presenting you with another gem that is situated in the heart of Georgian Dublin that offers a wide range of services and options for your wedding group. Become your very own wedding host by having this private Georgian house all to yourself and your wedding party - with the extra fine trimmings of service staff and musicians of course. From a champagne reception with a string quartet to a late night supper, this old Georgian house will give an air of elegance to your stylish gathering. Every step of the day will be celebrated in style panning throughout the house. Beginning with a champagne reception to welcome your friends and family, the greeting is spanned between two of their most characteristic rooms, the salon and the library. If the urge strikes, you could even graciously greet your guests on their grand winding staircase with a sweeping arm gesture – something we know you’ve always secretly wanted to do. 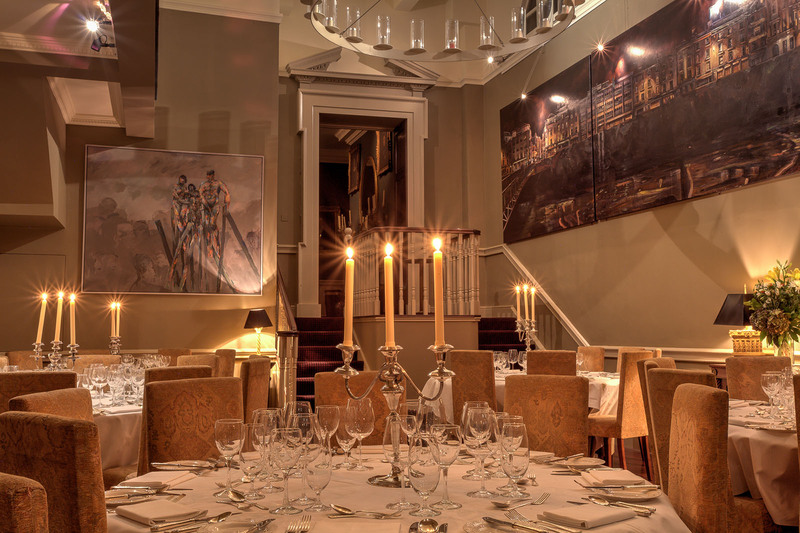 Hosting the dinner in their splendid dining hall, Ormond Quay sits up to 80 guests. Each room is decorated and styled to perfection, and the evenings events are lit entirely by candlelight in antique candelabras that will have you basking in this historic environment for the night. Braving one step further from the hustle of a city wedding, this is a wedding venue for those of you who would consider themselves a true food connoisseur and chases after authenticity. Situated just a short drive from Dublin in Co. Meath, this venue was originally known for its hosted Friday night dinner called “Posh Nosh.” Now opening its doors to wedding parties, this beautiful 600 year old century tower house can be all yours on your special day. Think rustic, full of character, in tune with nature and simplistic in its décor. Unearth all the charm this private house has to offer, with the two lovely owners Sue & Dave Prickett willing to take care of your every need for your day. Strip away all the unnecessary trimmings and make your wedding about good company, good scenery and good food. They have vaulted castle kitchens that your four course dinner will be prepared in, drawing rooms and music rooms to take a break from the hectic organization of your day to have a quiet catch up with loved ones. Better yet, kick off your heels at the end of the night and go for a dance in their 18th Century cut stone barn. With an emphasis on good food and a relaxed atmosphere, this location is prime for foodies looking for an exclusive nature filled getaway with added luxury. Keeping with the country theme, another modern day find that is perfect for a smaller wedding is that of Clonwilliam House, located on the Wexford-Wicklow border. A private house set atop the wooded hills surrounding the picturesque Vale of Avoca near Woodenbridge, it caters for small, yet utterly chic wedding parties. The unique and stunning scenery will provide the perfect backdrop for your wedding day photographer. While outside it looks like your typical country retreat, step inside and you will be immediately transported to a glamorous resort. On your big day, along with all the 'usual', you can avail of the services of a personal butler, access to an underground basement pool and a team of wedding experts who will work with you to personalise every detail of your big day. Clonwilliam house has mastered the perfect combination of rustic nature and luxurious glamour. Don’t forget, for those romantics among you, that the area itself has been a literary inspiration for many years now. Famous poet, Thomas Moore, reminisced about how much he loved the valley with his famous lines: “There is not in this wide world a valley so sweet; as that vale in whose bosom the bright waters meet.” The perfect tagline for your greeting cards, your invitations, place settings or even an album cover. The possibilities are truly endless in this romance-filled Georgian world. This private manor house is available to rent for the perfect ultra-intimate country wedding. Situated in Killarney, just on the outskirts of the Ring of Kerry, choosing this venue will give you access to some of Ireland’s most beautiful scenery, and all on your doorstep. Greenery stretches for miles and miles around you, with the striking ring of Kerry proudly awaiting to be your wedding photograph backdrop. Quiet and serene, this is the perfect place to bring your friends and family for a little celebration and relaxation in charming surroundings. Entirely private, having your wedding here guarantees you your venue all to yourself for your wedding. With the dining hall catering for a small 12 guests, a bigger reception is possible with the addition of a marque on the lawn. Fully licensed for civil ceremonies, you can, if you wish, celebrate your day here from start to finish in one place. Nestled among high mountains in the West of Ireland in Connemara, Delphi Lodge is the go-to location if you want to turn your wedding into a weekend. This location prides itself on bringing an entirely personalised approach to your wedding, with a hands-on team ready to cater for every preference you may have. With the availability of row boats to hire, a shot of you and your groom starry-eyed out on the shimmering lake would be a scene worthy of Nicholas Sparks himself. If the location and the picture-perfect photo opportunities aren’t enough to lure your wedding party here, maybe some of their other services might be. Take a roam around the grand library or explore the wine cellar to grab yourself a treat whilst relaxing by their open log fires that never stop burning, day or night. The menu is entirely created for you by the chef, and any activities you may feel inclined to partake in – should you want to leave this rustic haven– are offered and assisted with by their staff. They include guided hill walking among the surrounding waterfalls, fly fishing and clay-pigeon shooting. With a minimum stay of two days, their dining room can hold up to 40 guests. If country houses and manors aren’t your thing and you’re looking for a venue that is a little more outside the box, we have unearthed a location that might be perfect for you. Now, everyone knows of the magnificent long-standing churches Dublin has to offer, but why not go completely underground and get married in a cathedral vault? For those of you who want a wedding reception that’s steeped in tradition with a gothic edge, this is the place for you. You can keep it urban and edgy by dining with a group of up to 120 in their 12th Century medieval crypts. You can even put your own romantic spin on the alternative venue by setting it with mood lightning and a soft décor along their stone walls. Don’t worry about having to sacrifice modern luxuries for this authentically mediaeval feast, these Christchurch vaults come with underfloor heating and air conditioning to suit any seasonal wedding. They offer you the full services of their events officer and recommended caterer. In a true fairy-tale setting, this Kildare village retreat with its natural beauty and hidden features will have both you and your guests enchanted. This location prides itself on their vintage weddings, making your party something envious of Downtown Abbey itself. Just a short drive from Dublin City, you can make use of the multiple rooms and suites to suit whichever wedding reception you desire. The main dining hall is the restored Mill, which boasts a double height space and a grand open fireplace. They even cater for civil ceremonies, both in the surrounding garden and open-spaced conservatory titled Le Sierre. With 17 picturesque lake view suites to hold your nearest and dearest, it is ideal for a small intimate gathering. Regardless of the type of reception you would like here, the surrounding areas in the village is what will really make your heart melt. Lush greenery fills every corner of this village, with a grand canal winding its way through. Red carpeted bridges lift you over the water, with a day time waterfall cascading behind. Their courtyard is even home to a dovecote – housing four pairs of white doves. This village is a true romantic getaway that will leave your wedding day feeling magical. If you're still dreaming of that dream intimate wedding, but have no idea how to pull it off, we can help you have a small, intimate wedding without a hitch.